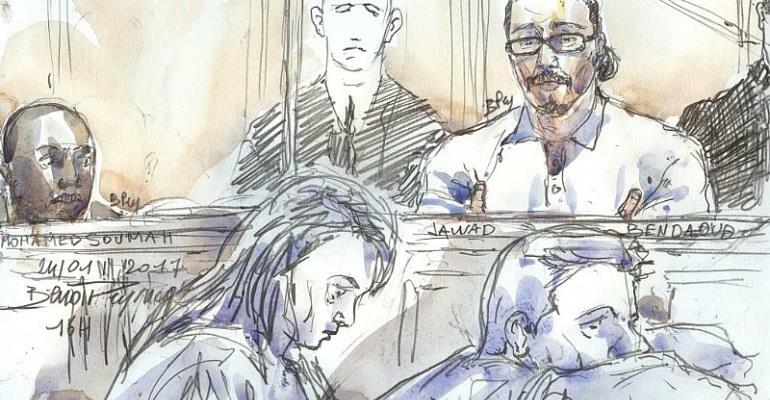 A court of appeal will deliver its verdict this Friday on whether Jawad Bendaoud is guilty or innocent of harbouring two jihadists involved in the 13 November Paris attacks in 2015. One of the two terrorists is belived to have been a mastermind of massacre in which 130 people lost their lives. In February 2018, Bendaoud was acquitted of complicity in putting up the two jihadists at a squat in Saint-Denis, north of Paris. However his apparent jubilation upon release from prison was short-lived. The department of public prosecutions immediately launched an appeal against the ruling. The "Daesh landlord" was subesequently found guilty of "harbouring terrorist offenders", having sub-let his apartment to Abdelhamid Abaaoud and his accomplice Chakib Akrouh. The two were killed in a special operations police raid on the building three days after the Paris attacks on 18 November. However the question remains as to how much the accused knew about the two men staying at his flat, who went on to terrorise Saint-Denis and Paris. Jawad Bendaoud, who has repeatedly insisted on his innocence, faces a six-year prison sentence if found guilty. During a court hearing last December, chief prosecutor Naïma Rudloff expressed "no doubt of Bendaoud's guilt", calling for a minimum five-year sentence for a delinquent with a long police history. She added that "jihadism has offered a veneer of morality to delinquents in suburban housing projects and those offenders have given support to jihadists". According to Rudloff, "Bendaoud's word can not be trusted," underlining the different versions of events given by the accused: he first claimed he was lodging "two muslim brothers from Saint-Denis," then "a brother and a cousin," then "a brother who had returned from Brussels". He rented the apartment at €150 for three nights, a rate which, even on the black market, would be considered modest. Jawad Bendaoud has contested this accusation during his two previous trials, claiming he was unaware he was renting the squat to jihadists. He also maintains that he was unaware they were on the run following the 13 November attacks, as he hadn't been following the news. He insists "I may be a hoodlum, but I would never become a terrorist." At the first hearing, the criminal tribunal concluded that it could not be proven that Bendaoud gave shelter to two people that he knew were terrorists. And for defence lawyer Xavier Nogueras, the second hearing failed to gather sufficient proof to convict his client. Bendaoud will be in the dock this Friday to hear the court's decision. On Wednesday he was sentenced to one year in prison for issuing death threats against a victim of the Paris attacks on the sidelines of his trial last December. He has denied any wrondoing in that case.